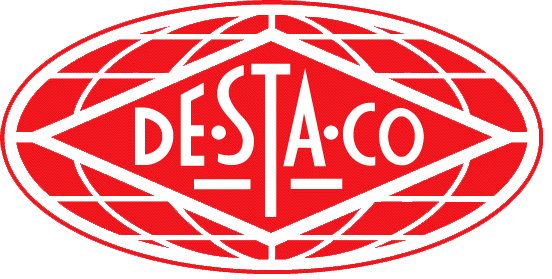 DE-STA-CO is a vibrant company with a history of providing manufacturing productivity solutions to customers worldwide. A pioneering manufacturer of innovative material handling tools for any application, DE-STA-CO focuses steadfastly on customers’ needs, consistently offering industry-leading products for streamlining manufacturing processes. As a result, DE-STA-CO is now the worldwide leader in the innovation, design, manufacture and support of clamps, grippers, indexers, slides, conveyors, robotic tooling and remote handling products for workplace and automation needs. We are able to demonstrate many of our products in this one location to thousands of people from the metal forming, fabricating and welding industries. This allows us to receive input from our customers and provide answers to their questions, face to face. Many of our product demonstrations will be in full motion, and some will be interactive, so visitors can get a good understanding of how our products can provide solutions for their applications. We will also have a Magician in our booth attracting visitors, and providing product information in an entertaining way. Also, we will have knowledgeable booth staff to answer questions on any of our products. Yes. We are introducing a new press room, sheet metal gripper which is within our Accelerate Collection. It features a lighter weight, smaller foot print, and faster actuation. I will be interested to see other products, new or well established, and how they either compete with or complement our product lines. Also, I will be looking at other booth displays and the unique approaches that other companies use to attract visitors to their booths. We want visitors to walk away from the show with a good understanding of how DESTACO products can benefit them in their workday, and to remember the DESTACO name when they have future needs that we can meet. We expect to have many in-depth conversations with those who are seeking answers for improving their processes and bottom line, and providing them with exactly what they need.